We are pleased to announce the recent publication of several new books by Domitor’s Past President, Scott Curtis, Current President Tami Williams, and Executive Committee members, Oliver Gaycken and Colin Williamson! The books cover an exciting range of topics, including early nontheatrical film in Germany, Germaine Dulac, popular science films, and media archaeology. The Shape of Spectatorship: Art, Science, and Early Cinema in Germany by Domitor Past-President Scott Curtis (Columbia UP, 2015). Click here for further information. “Scott Curtis draws our eye to the role of scientific, medical, educational, and aesthetic observation in shaping modern spectatorship. Focusing on the nontheatrical use of motion picture technology in Germany between the 1890s and World War I, he follows researchers, teachers, and intellectuals as they negotiated the fascinating, at times fraught relationship between technology, discipline, and expert vision. As these specialists struggled to come to terms with motion pictures, they advanced new ideas of mass spectatorship that continue to affect the way we make and experience film. 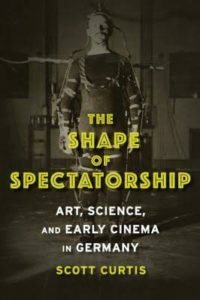 Staging a brilliant collision between the moving image and scientific or medical observation, visual instruction, and aesthetic contemplation, The Shape of Spectatorship showcases early cinema’s revolutionary impact on society and culture and the challenges the new medium placed on ways of seeing and learning” (Columbia UP). Germaine Dulac: A Cinema of Sensations by Domitor President Tami Williams (U. Illinois Press, 2014). Click here for further information. 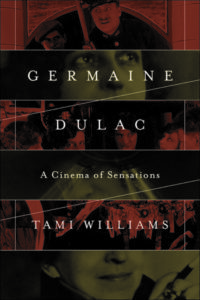 “In Germaine Dulac: A Cinema of Sensations, Tami Williams makes unprecedented use of the filmmaker’s personal papers, production files, and archival film prints to produce the first full-length historical study and critical biography of Dulac. Williams’s analysis explores the artistic and sociopolitical currents that shaped Dulac’s approach to cinema while interrogating the ground breaking techniques and strategies she used to critique conservative notions of gender and sexuality. Moving beyond the director’s work of the 1920s, Williams examines Dulac’s largely ignored 1930s documentaries and newsreels establishing clear links with the more experimental impressionist and abstract works of her early period” (UI Press). 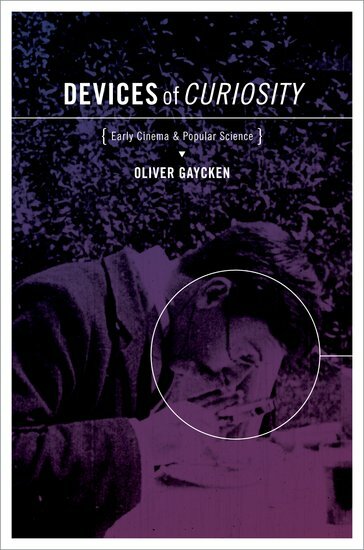 Devices of Curiosity: Early Cinema and Popular Science, by Oliver Gaycken (Oxford University Press, 2015). Click here for further information. 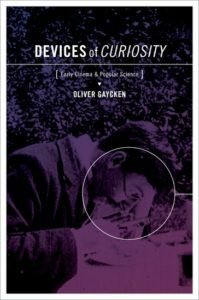 “Devices of Curiosity excavates a largely unknown genre of early cinema, the popular-science film. Primarily a work of cinema history, it also draws on the insights of the history of science. Beginning around 1903, a variety of producers made films about scientific topics for general audiences, inspired by a vision of cinema as an educational medium. This book traces the development of popular-science films over the first half of the silent era, from its beginnings in England to its flourishing in France around 1910″ (Oxford UP). 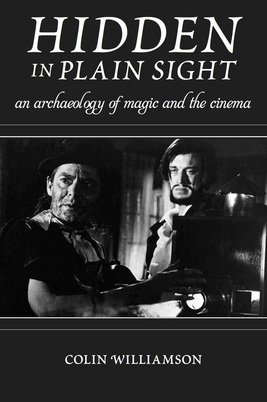 Hidden in Plain Sight: An Archaeology of Magic and the Cinema, by Colin Williamson (Rutgers University Press, 2015). Click here for further information. “Hidden in Plain Sight offers an insightful, wide-ranging investigation of how the cinema has functioned as a “device of wonder” for more than a century, while also exploring how several key filmmakers, from Orson Welles to Christopher Nolan and Martin Scorsese, employ the rhetoric of magic. Examining pre-cinematic visual culture, animation, nonfiction film, and the digital trickery of today’s CGI spectacles, Hidden in Plain Sight provides an eye-opening look at the powerful ways that magic has shaped our modes of perception and our experiences of the cinema” (Rutgers UP).